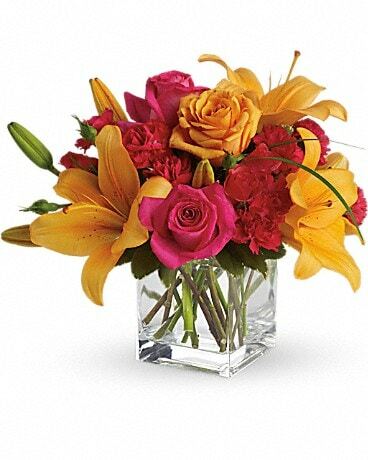 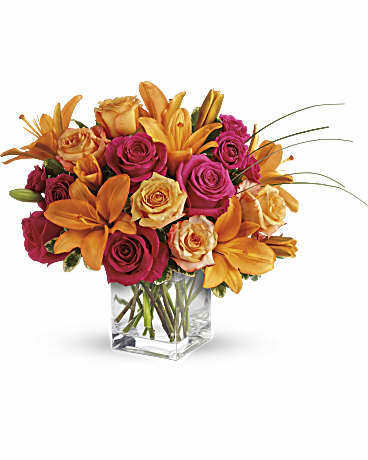 Teleflora's Uniquely Chic in Plantation FL - Plantation Florist-Floral Promotions, Inc.
Uniquely beautiful and uniquely bright, this is a bona fide bombshell of a bouquet. 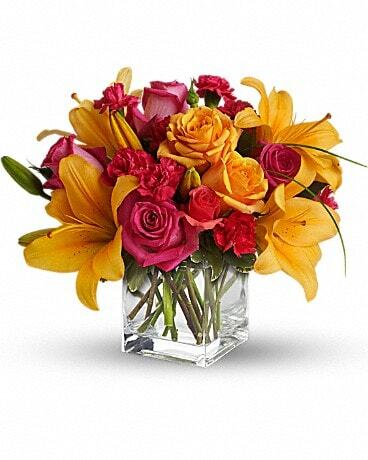 Brilliant orange and hot pink rose blossoms are perfectly arranged in an exclusive cube vase. 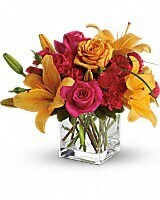 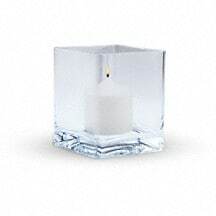 The perfect size for a home or office to brighten up the room.